In a strange twist of fate, while our Men’s Teams were recording great wins about 800 metres from my house, I was at GBO watching our amazing Women take on Mazenod. Every Saturday can’t be a GBO Super Saturday clearly but it was an opportunity to host and if we are to continue establishing our reputation as a strong and welcoming footy club for a Saturday’s game of VAFA footy, we need to provide a great atmosphere. I’m pleased to say we didn’t disappoint and thank you for everyone’s help Saturday. As always, some great reading from our stellar coaches this week and some real highlights. After a tough injury plagued season our Women’s Seasons had a scintillating win against Mazenod. The Thirds continued their solid form from the win against Marcellin and but for errant kicking, went down narrowly away against a good Mazenod side. The presence of our Thirds has greatly increased our depth and competitiveness across the entire Men’s group and that’s great for OCGAFC. Away wins in Premier C are always hard to come by and none are harder down at Peninsula Old Boys. They had come down from Premier B and would have been desperate for victory. To win both the Reserves and Seniors games was a mighty effort and keeps both teams in the hunt in their divisions. 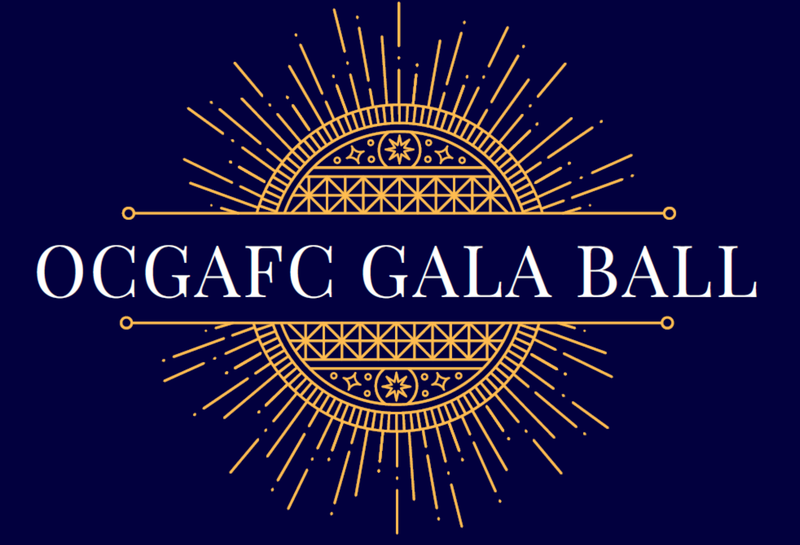 I’m sure I don’t have to remind anyone but it is Gala Week with our big night this Saturday 26th. I’ll be sending around some huge thank-yous shortly and the Club is looking forward to a great night. If you have anything to donate as an auction item, please contact Adam. Peninsula Old Boys at Mt Eliza is always a tough encounter, regardless of the position that their teams hold on the ladder. They treat their home games as nothing short of “War”. They fight hard to not lose the perceived advantage they have due to the opposition having to travel a distance to get there. Our boys all fronted on time, bright eyed & ready to go. We welcomed back Zach Herbstreit, down from a stint in the seniors and brought up Mick Jenkin and Louis Campbell from Benny’s Threes group. After a solid warm-up, we were ready to take on the challenge. Unfortunately, we did not quite anticipate the fierceness that the Pirates displayed in being first in at the contest, winning the one on ones, making tackles stick (and bringing their opponents to ground) and getting big numbers around the stoppages. The result – three well constructed goals scored before we were able to reply with our first goal on the quarter time siren. No cause for panic. We have found ourselves in this position a few times this season, and we had been able to overcome. A lift in our overall effort, an increase in our intensity levels and a more definite approach to the ‘Defend First’ mindset that has been asked of the players all season was required. Once the ball is to hand, we needed to look for the opportunities to widen the ground, as simply dumping the ball back down the line, from its initial starting point was a sure fire way to play into the opposition’s hands. They were generally bigger than us, taller than us, but we were all quite certain they were not as quick as us, nor were they as fit as us. A mini fight back resulted in Q2 and we managed multiple goals, plus behinds to claw back to a 3 point deficit at the long break. A couple of team positional changes were made and immediate effect was felt. Louis Campbell, was shifted into the middle and he showed very quickly that he is a ‘good driver in heavy traffic’. Centre clearances were an area that we had been on the back foot all match and his presence in the middle helped swing the game momentum our way. Tom Vogel was moved to defence and he was instrumental in repelling a number of opposition forward forays. Matt Bromell was presenting up at the ball carrier and was very strong in the air as well. He capped these efforts with a super tackle of one of the Peninsula defenders in the goal square, nailing him big time. If that type of effort couldn’t motivate his team mates, you would have to question why people play footy! Scotty Kaiser was busy in the third kicking our only goals, but more importantly the defence was playing tight and we kept the Pirates to 3 points, enabling us to move to a 3 point lead at the final break. We knew that the match was going to go down to the wire, the Pirates were not going to lay down, especially not on their home turf in front of a vocal, parochial home crowd. We battled hard all quarter, scored a Mike Schuman goal from a strong contested mark out wide and he was able to drill the much-needed goal. We conceded a couple to defensive lapses, but with our “plus 1” finding the ball more often than the opposition would have wished, we snuck over the line for a 2 point victory (for the second week in a row!!). Back to the drawing board to assess some key areas to work on during the coming week in order to ensure that we are primed to take on St Marys Salesian at home. Have a good week on the track boys! In a very frustrating day at the office for all involved, the Thirds were unable to kick our way to victory this week. After a big win last week, the boys again played some very good footy, however due to a lack of accuracy in front of goals, we were unable to take our chances and take the win. Mazenod beat us in the contest in the first half but after half time the boys responded brilliantly, started winning the hard ones and created enough scoring shots to put us in the game. Tyler Phelps was instrumental in the midfield, providing plenty of drive in only his third ever game of Aussie Rules! Matt Tesoriero also had a terrific day, continually beating a very solid opponent in the backline and providing plenty of drive off half back. Other key contributors were George Vitinaros up forward and Alex Vickery and Steven Cunningham in the middle. In the end we lost by 18 points, however after kicking 16 behinds, it was definitely one that got away. After a few weeks of rapid improvement and competitive performances, the Seniors came into the weekend’s clash against Mazenod with confidence that they could get back on the winner’s list. A fired up Mazenod showed up ready to play and with a clear intent to get their first win of the season. With a relatively small and quick running team, they looked to play similar free-flowing footy us. As has happened in previous weeks, we let the opposition control the early play and were caught napping as their quick forwards and midfielders combined to kick the first two goals of the game. However, the trend stuck to the script and we began to work our way into the contest. Our forward line looked to have more structure with Maggie at full forward offering a strong marking option and Amelia back to her traditional centre half forward position. A couple of quick goals saw us get back in the game to be six points down at quarter time. As the coaches and backline struggled to get the match ups right in defence, our second quarter again got off to a slow start. Eventually shuffling our defence to go with a small and mobile back-six, moving Tracey, Edie and Isy to defence allowed us to settle down back and focus on attacking. Rhi and Sara started to win their own footy, while Soph and Rachael worked hard to find space to capitalise on this. Our forward line clicked as well. A much more open flowing game, in general, and especially up forward was giving us an opportunity to get the ball in quickly and allow our small forwards to run onto it. Steph, El and Jane did this on multiple occasions to create scoring opportunities. Amelia and our midfielders were also taking contested marks in good positions, offering another avenue to goal which we have missed for much of the season. Turning the scoreboard around to lead by a goal at half time was just reward for the team, and it was important that we stayed focused and kept wearing them down to break their spirit. Kicking with the wind in the third allowed Mazenod to throw everything at us, but by this stage our defence was working as a tight unit and stuck to the basics. Steph D played a captain’s game and picked off everything, settling things down over and over again. She was supported by Gab and Sam. And collectively our defence never looked like cracking. With Dee going down with an ankle injury, Anna stepped up and played a key role in the ruck contests. She tapped smartly to advantage and kept giving us first use of the ball. The final quarter was set up for either team to win it, so kicking the first goal extended our lead to a healthy buffer. And with a second, we were confident that we’d done enough to win. To their credit, Mazenod finished strongly, but again our back line stepped up and dealt with everything. After a tough month, and a couple of games in which we had given ourselves a chance to take the four points, it was just reward for the team to get back on the winners list. We have taken big strides in the first six games and the injuries have allowed us to play a lot of inexperienced girls, which will prove to be a positive as the season unfolds. Well done to the team for how they continue to apply themselves at training and on game days. Big thanks to all the helpers on the weekend, and those who came out to support. Taking on Mazenod, we were excited about the opportunity to be back at home chasing our second win for the year. When the opposition kicked away in the first quarter we had to work hard to get back in the game. Our usual strong defensive efforts and tackling that have become a highlight of the team were not at the level we expected and the opposition made us pay on the scoreboard kicking 2 goals 5 behinds. In the second quarter we worked hard and had the opportunities to finish off but unfortunately we just missed some poise in the forward line as we kicked 2 behinds while the opposition finished off their only chance with a goal. Alice and Kate worked in tandem well through the ruck and continued to provide great contests around the ground, while our midfield began to get more run and shutdown the opposition’s best player with work between Emilia and Georgia to ensure that she didn’t continue to get away from us. The third term we again held them to one goal but were unable to get on the scoreboard but our effort and work rate had lifted as we began to get more dash off the backline with Eva and Greta leading the way as they repelled the ball and Kath, Hannah and Bridget were rock solid in the last line of defence. While Georgia O continued her fantastic form for the game as she ran, marked and provided great distance covered with run and kicks, Lucy, Sarah and Laura began to get more of the ball and provide plenty of run through the middle of the ground. The final term we had most of the play in our forward 50 however couldn’t finish with more than 1 behind despite consistently having the ball. Georgia W had a great quarter as she ran and worked hard and continued to run to the right spots, while Emilia was first to the ball and showed great fight at every contest with her terrific tackling. Whilst another hard week in terms of the score there was again some great signs that we are close to getting our second win and the continued improvement from all players is really promising. After the long drive down to the Mornington Peninsula, perhaps the journey affected us as out start was slow and we find ourselves a few goals down in the first and lucky not to be further behind courtesy of our wayward opponents. The Pirates had started strongly and would dominate inside 50’s and general play. Saturday however was not going to be their day as the Wellers turned up the heat and began to dominate possession for the remainder of a one sided contest. Alex Tavener (4 goals) kick started the boys with a dominant display as a small forward and big man Nick Adamson was playing a major role up the ground raking in a season high 12 marks and 31 possessions. Emerging Ruckman Kellan Percy was starting to take control in the middle and prolific onballers Ben Hart 35 possessions & ‘Chook’ Hensby 33 were in command across the park with some fierce attack on the ball and some slick ball movement through the middle. We went into the main break with a 10 point lead and plenty of confidence growing within the group. After the break, our relentless backs led by Bennett, Deev & Co became impossible to pass and were rebounding almost every entry. Jimmy Allen continued his amazing form this year with 2 goals and Nick Latsas (3 goals) continued his dangerous form up forward. Peninsula struggled under the constant pressure and we went on to record our first away win for the season. After last week’s disappointing fade out, it was important to bounce back quickly and keep in touch with a very even Premier C group this year. The win leaves us 3 & 4 and within touch of the top 4. Most pleasingly, the emergence our younger players led by Josh Holding, Lachlan Powell, Will Dalrymple, Kellan Percy and first gamer Rob West continues. These young Wellers’ show no fear and will bring endless energy to the group for the remainder of the season. Thanks for those who travelled to support our team and we hope to see you next week at GBO.